Musca Domestica (commonly known as a housefly) has thousands of individual visual receptors called ommatidia. These receptors create what is known as a compound eye, which is capable of an almost 360-degree view and incredibly speedy sight. 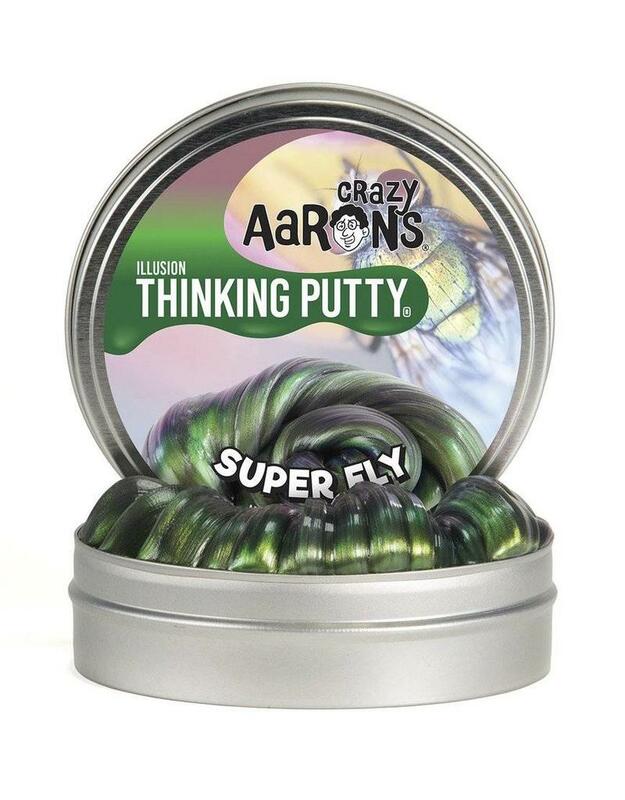 Named for the creature with the fastest vision in the world, Super Fly Thinking Putty will put your eyes to the test! Shimmering tones of metallic green and black give way to gray and silver, just like the body of a common fly. But look again and you’ll see tones of peach, mauve, and pink refracting off of its pearly sheen.